We all have different realities with which to contend. For the Christian, life's 'realities'--death, disease, rejection, conflict, loneliness, disabilities-- do not excuse us from choice or responsibility. God made us a little lower than the angels, and we've been making ourselves lower ever since. It's time to claim our destiny as sons and daughters of God created in the divine image. Here is a short reflection and video on manhood which you do not want to miss, When I was a growing up my father would often exhort me to “be a man.” He would summon me to courage and responsibility and to discover the heroic capacity that was in me. St. Paul summoned forth a spiritual manhood with these words: We [must] all attain to the unity of faith and knowledge of the Son of God, to mature manhood, to the extent of the full stature of Christ, so that we may no longer be infants, tossed by waves and swept along by every wind of teaching arising from human trickery, from their cunning in the interests of deceitful scheming. Rather, living the truth in love, we should grow in every way into him who is the head, Christ. But today, too many Christian men are passive fathers and husbands. They have not matured in their faith but remain in a kind of spiritual childhood. They are not the spiritual leaders of their home that scripture summons them to be. If they go to Church at all, their wife has to drag them there. They do not teach their children to pray, read them Scripture, or insist that they practice the faith. They too often leave this only for their wife to do. Gratefully, many men do take their proper role. They have reached spiritual manhood and understand their responsibilities in the Lord. They live courageously and are leaders. They are the first up on Sunday morning leading their family to Church and they insist on religious practice in the home. They intitate prayer and Scripture reading with their wife and children and are vigorous moral leaders and teachers in their family, parish and community. They are willing to battle for the truth and speak up for what is right. You see the Lord is looking for a few good men. Are you a Christian Man? Have you reached spiritual manhood? This is not the kind of manhood that comes merely with age. It comes when we pray, hear and heed scripture and the teachings of the Chruch. It comes when we couargeously live the faith and summon others to follow Jesus without compromise. When we speak the truth in love and live the truth. It is when we fear God and thus fear no man, for when we are able to kneel before God we can stand before any threat. If you’re a Christian man or aspire to be one, I hope you’ll find this video as inspirational as I did. Just finished a remarkable book that tries to prove the existence of heaven. Dr Eben Alexander's book, Proof of Heaven, is an extraordinary story about a most extraordinary experience. Dr Alexander is a neurosurgeon, so he truly knows how the brain works. He explains that most doctors dismiss NDEs (Near Death Experiences) as the final flickerings of a dying brain. Death, he explains, is not when the heart stops, but when the brain stops. But Dr Alexander himself contracted a most rare form of bacterial meningitis and his brain went into shut down. He was in a coma for seven full days. His body worked, but his brain was dead. After six days his condition was so critical that his family was told that there was a 97% mortality rate, and those few who survived would be in a persistent vegetative state. But he bounced back and eventually recovered. While he was in the coma he had a most vivid and memorable NDE. That story is remarkable, but the book is worth reading simply to go through the amazingly rare illness and miraculous recovery that he experienced. As we mark the solemn 40th anniversary of the Roe v. Wade decision, I would like to address my column this week to our teens and young adults, who I believe will ultimately prevail in restoring a sense of respect for all human life, including the innocent baby in her mother’s womb. 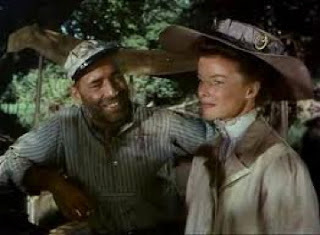 Please feel free to share this column with a young adult in your life, or ask them to look for it at www.cny.org. For much of the 40 years since the Supreme Court’s tragic Roe v. Wade decision ushering in an era of abortion on demand, we in the pro-life community have had little to cheer about. In the battle for hearts and minds, it has at times seemed as though we were losing ground, and fast. We could preach about the sacredness of all human life, about the harm that abortion does to women who are so often coerced by others into doing the unthinkable, and the lifetime of pain and regret so many of them, and the fathers of the aborted baby, face as a result. For a long time we were overwhelmed by even louder voices proclaiming “choice” to be the ultimate right. For too many of my generation, that argument was effective and catchy, and there is no changing their minds. This civil rights issue of our time—the right to life of the innocent baby in the womb—won’t be won by the older generation; it will be won by the young. It is to you that I address this message on this solemn anniversary. Popular culture calls you the “Millennial Generation” because you came of age at the dawn of the Millennium. But I think of you as the “Ultrasound Generation.” You are different than any generation that came before you in that your very first baby pictures were taken not with you in your mother’s arms, but you alive in her womb. Your generation is defined by technology. You have come to expect almost annual revolutionary technological breakthroughs that change the way we live and work. You have seen staggering medical advances that have given doctors wonderful new tools in fighting disease and injury. And you have grown up with ultrasound technology that has opened a window into the womb, allowing us to glimpse preborn babies from the earliest weeks of gestation. You have seen your little brothers and sisters before they were born in these grainy videos and photographs pinned to the fridge. Your mom or your dad has shown you those first images of yourself. Some of you have even seen your own children for the first time with newer, clearer 3- and 4-dimensional ultrasound technology. You have gasped with wonder at the sight of little arms flailing and legs kicking, heads bobbing and hearts beating, mouths sucking thumbs. You have seen, and you believe. You are rightly skeptical. They may believe what they say, but in this matter they are wrong. Think of your first baby picture, the one on the flimsy paper with the dark background and the unmistakable image of you. You know better. I know it is not easy to go against the prevailing culture. But your generation has not been afraid to be countercultural. Besides, I have good news for you—you are not alone. The pro-abortion movement’s dark secret is that it has been losing the hearts and minds of young people for a number of years. And now the secret is out. You know what? She’s right! 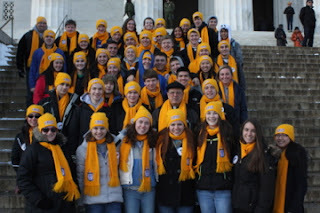 I have seen that intensity myself in the young New Yorkers who pray at abortion clinics, lobby in Albany and climb onto buses in the pre-dawn darkness to join their fellow pro-lifers at the March for Life in Washington, D.C., as we’ll do this Friday. When I look out into the sea of faces out on the Mall in the shadow of the Washington Monument, I see you. You know who I see when I look at the rallies on the pro-abortion side? I see people my age and older. That pro-abortion leader and others like her are counting on you having some sort of grand epiphany once you get older and, as she said, “reality hits.” But what they aren’t counting on is that when you saw yourself, your kid brother or sister, your own child, in that ultrasound photo, reality did hit. And it hit hard. But here’s the tough part: It is not enough that you believe. It is not enough that you are sympathetic to the cause. Don’t get me wrong, I am thrilled to know that so many of you in the “Ultrasound Generation” are pro-life. But this can’t be a secret anymore. You need to proclaim it. It can’t come from me or from people my age; our time is rapidly passing. Now is your time. My time has seen 55 million abortions in the United States since 1973. That is almost exactly the population of New York State and California combined. A number that big can seem abstract, but you know intuitively that these 55 million people were your peers, your siblings. One of them could easily have been you. In New York City, four out of every 10 pregnancies end in abortion, double the national average, mostly poor Black and Latino women. In some parts of New York City, the number is 6 in 10. Yet some of our elected officials in Albany are pushing a bill, believe it or not, to expand abortion access even further. It’s as though, in their minds, our state motto, “Excelsior” (“Ever Upward”) applies to the abortion rate! Sometimes, it falls to one generation to clean up another generation’s mess. And I’m afraid we have left you quite a mess. I am asking you, the “Ultrasound Generation,” to set the course right, to change hearts and minds, to change the law so that your children’s generation is given the legal protection that your generation so tragically was not. Ultimately, I am counting on you to change our culture. My faith in you is high. For I have seen, and I believe—in you. 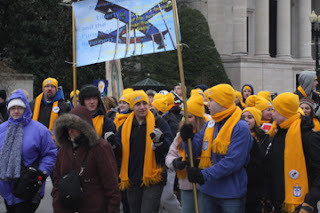 The annual March for Life is usually held on January 22—the anniversary of Roe v. Wade—the day in 1973 when the Supreme Court ruled that, for legal purposes, babies prior to birth were not people. Babies might be human, but they were not people. Their lives could be forfeited by their owner-mother. During oral arguments in Roe v. Wade, the court noted, “If this suggestion of personhood is established, the appellant’s [abortion] case, of course, collapses, for the fetus’ right to life is then guaranteed specifically by the [14th] Amendment.” And there it was: With the stroke of a pen, human life became legally disassociated from the rights of a person. This year the March for Life is moved to today, Friday, January 25th. Our Marianist schools began traveling to D.C. yesterday and more will come today to stand up for LIFE! He was born near Annécy, in Savoy, studied the law, and was ordained to the priesthood despite the opposition of his father. His first mission was to re-evangelize the people of his home district (the Chablais), who had gone over to Calvinism. Always in danger of his life from hostile Calvinists, he preached with such effectiveness that after four years most of the people had returned to the Church. He was then appointed bishop of Geneva, and spent the rest of his life reforming and reorganizing the diocese, and in caring for the souls of his people by preaching and spiritual guidance. Tens of thousands of pro-life demonstrators are heading to the nation's capital for Friday's 40th annual March for Life. Organizers expect record crowds. Organizers are expecting record-breaking crowds protesting Roe v. Wade, the Jan. 22, 1973, Supreme Court decision legalizing abortion in the first trimester. 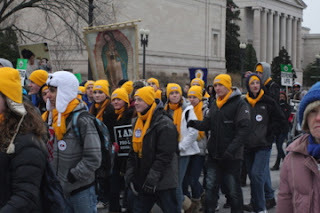 Friday's March for Life rally will begin before noon on the Mall and then move along Constitution Avenue to Capitol Hill and the Supreme Court. Take a look below at the work of one of our Marianist high school graduates. 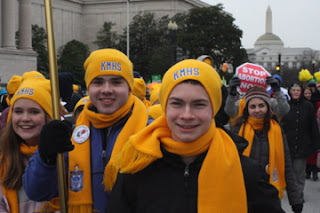 He put together this short video in preparation for the 40th Annual March for Life which both our high schools will attend. Great job! "Method of Prayer on the Creed"
My God, you are all that fills my poverty. I come before you to adore you. to you in all things. it is you who must direct and guide me. for all ages unending. Amen. Enrique Aguilera, S.M. and Jose Maria Arnaiz, S.M. HE TEACHES US TO LIVE IN COMMUNITY. When we celebrate a birthday, we don't just remember the day when someone was born. We celebrate the person. Today we celebrate the feast day of Blessed William Joseph's birthday because his life and vision continue to inspire people from all walks of life to work together to create change that makes a real difference in our world. Chaminade founded the Society of Mary and the larger Marianist family. 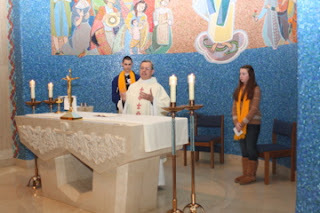 Blessed Chaminade wanted to create faith communities that made the Gospel alive in every age. He believed that people should not only believe in the kingdom of God — a kingdom of justice, love, and peace — but also live the Gospel message so that it is visible to people of every age. 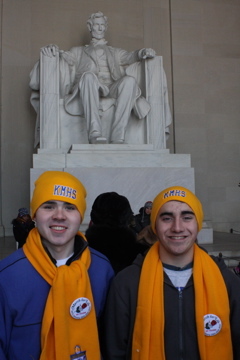 Chaminade's vision will always inspire us! who satisfies you with good as long as you live so that your youth is renewed like the eagle’s. The Lord works vindication and justice for all who are oppressed. He will not always accuse, nor will he keep his anger forever. as far as the east is from the west, so far he removes our transgressions from us. As a father has compassion for his children, so the Lord has compassion for those who fear him. 14For he knows how we were made; he remembers that we are dust. Bless the Lord, O you his angels, you mighty ones who do his bidding, obedient to his spoken word. Bless the Lord, all his hosts, his ministers that do his will. Bless the Lord, all his works, in all places of his dominion. Bless the Lord, O my soul. Blessed Chaminade intended the educational works he founded to be not merely functional and temporary communities, but enduring communities of faith. To bring and hold these communities together, Chaminade held up the ideal of “family spirit” of religious and lay persons, faculty and students, working together to achieve lasting relationships of friendship and trust, supporting and challenging each other in developing their mutual gifts. If a school is to be a community of faith, Chaminade saw clearly that its leaders, religious and lay, must see their work not merely as a job but as a ministry of love and service. Finally, Marianist spirituality calls for communities of faith to exist not simply for the sake of their members, but to share in the Marianist deep commitment to mission. 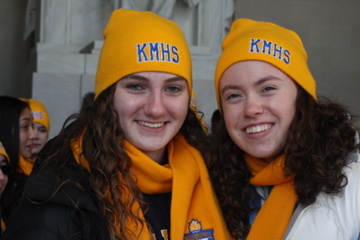 Marianist schools, therefore, not only commit themselves to effective education and mutual support, but encourage teachers and students alike to emulate Jesus in love of and service to others. Virtue is impossible without some knowledge; but, unfortunately, even a great deal of knowledge can exist without virtue. Marianist educators aim to combine both valuable knowledge and genuine virtue. 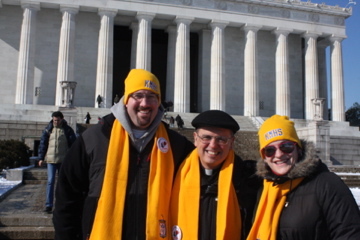 Therefore, Marianist educators define success distinctively—rejoicing when their students are faithful to the spirit of the gospel of Jesus Christ, exemplify joy and courage in witnessing to that gospel, form communities of faith resonant with the vibrancy of early Christianity, and use their knowledge and competence to serve and transform society. In countries where Marianist educators serve in a predominantly non-Christian context, we present the same ideal though in an appropriate manner that respects and promotes faith and truth wherever they are found, rejoicing when they are lived courageously and in a spirit of service. Do as she did. Be as she was. Blessed William Joseph Chaminade, the founder of the Family of Mary, takes the good of the French Revolution: liberty, equality, and fraternity, and places them into a Christian context. They beget a community of faith, centered on faith of the heart, which is mission‐oriented, founded on a spirit of family where all have a role and all roles are interrelated in complementarily. The other night Lazaro Arbos on “American Idol” was encouraged to never stops singing. This Cuban immigrant struggles with a monumental stammer. But listen to what happens when he opens his mouth to sing “Bridge Over Troubled Waters.” For anyone who has ever battled the hurt and shame of stuttering…or felt left out or written off…this one’s for you. Habits remind the community of faith, and everyone else as well, that we are all called to simplicity and sacrifice. In the mid-1970s, asked about her move from an updated habit to ordinary clothing, the teaching sister who ran our parish CCD program declared that the shedding of religious habits was a good thing because it emphasized that sisters were "nothing special, that we are all special in God's eyes." This sister gave an example: "When we were in our habits, a fellow with an Italian ice barrow would always insist on giving us free ices, but why should he? Why shouldn't we pay like anyone else? Why should we deprive him of his living because we were in a costume?" Putting aside how unlikely it would be for an Italian ice seller to go broke because he gave away a few free scoops of sugar-water, it is striking, thirty years on, to comprehend how fully horizontal and earthbound was her thinking; it had some breadth, but neither height nor depth. As with the "horizontally-focused" masses and hymns that over-emphasized the humanity of the church while diminishing the transcendence of its liturgy and purpose, Sister was embracing the beam of the cross—humanity and church reaching toward each other—without considering that the stationary vertical, heaven-focused post is vital, if anyone is to be raised up. Sister was operating under a willful delusion; she justified forsaking the habit with appeals to solidarity, compassion, and humility, but her story illustrated egoism and presumption. She bemoaned a possibility of cheating a man out of his wages. In fact, shewas cheating that man, but not in the way she imagined. The ice-barrow man was not giving sister a free ice because she wore a habit, but because a man who revered (or at least respected) God saw an opportunity to demonstrate his regard in a little way that St. Thérèse might have applauded. And she was cheating others, too. Her habit was a reminder to the community of faith, and to everyone else as well, that we are all called to simplicity and sacrifice; that for all of our Martha-instincts to work ourselves to death and carve our identities from what we "do," we must cultivate our inner Marys as well, and embrace the challenge to simply be.Sister might correctly say that she was "nobody special," but her habit was a witness to "being," and it confirmed Christ's covenanted life among us with a reassuring immediacy. Perfectae Caritatis, the Second Vatican Council's Decree on the Adaptation and Renewal of Religious Life, wisely counseled in favor of adapting religious habits in practical ways, but never decreed that habits should be discarded. The religious habit, an outward mark of consecration to God, should be simple and modest, poor and at the same becoming. In addition it must meet the requirements of health and be suited to the circumstances of time and place and to the needs of the ministry involved. The habits of both men and women religious which do not conform to these norms must be changed. In 50 years as a Carmelite sister, Sister Imelda Marie's holy habit has inspired countless "dumb questions" -- and opportunities for witness. Our habit is a form of language. It says who we are, why we are here, and where we are going. By wearing it, we are communicating God. Our founding sisters suffered for the freedom and privilege of wearing the habit of the Carmelite Order. Their story of persecution, poverty and journey to the United States as refugees should be pondered and meditated upon by every new generation of sisters as they receive their holy habit. Witness as a Nurse: For 10 years, I worked the night shift in the Intensive Care Unit of Santa Teresita Hospital with another Carmelite sister, Sister Virginia Therese. There were so many times when a patient would wake up from a major automobile accident or major surgery and seeing two sisters dressed in the white habit at their bedside and their bedside would ask, "Am I in heaven? "After 48 years of wearing the habit, I often forget the silent language and witness the habit gives until I am reminded by the reaction of people I meet at the most unexpected times and the most unusual places. The following are a few reactions I have experienced, and I am sure that each sister in my community could write a book on her personal experiences. As a Mobile Intensive Care Nurse, I would accompany the paramedics on their emergency calls. One time, we were called to a park where a young man had overdosed on heroin. I was beside him in the ambulance in route to the hospital when he woke up. He had the most puzzled look on his face when he, too, asked "Am I in heaven?" The paramedics never forgot this young man's question. Catechesis at College: In standing in line to register for classes at a nearby college, a young boy pulled away from his mother in front of us and asked about the rosary he saw hanging from our cinctures. We explained that when we pray the rosary, we talk to God. The young boy immediately grabbed the large medal we have on our rosary, put it to his mouth as said: "God, do you hear me?" He then put the medal to his ear to wait for the answer! We had a one-minute catechesis on how we talk to God in prayer, and how we have to be very quiet on the inside to be able to hear his answer. The little child was very interested. Spirituality in the Supermarket: After 28 years of working in the hospital setting, I had the privilege to be transferred for seven years to work at our motherhouse in Alhambra, California. My trips to the nearby store became surprisingly spiritual experiences. Once, I was asked to pick up some nail polish remover for the sacristy to be used in removing wax from the candleholders. As Carmelites we do not use nail polish, but I did know that nail polish remover would be clear. I noted what seem to be several hundred bottles. When I was halfway through my unsuccessful search an employee came along. She was orienting a new employee who was a young teenage girl. "Can I help you sister?" she asked. I explained my problem. She smiled and said "Let me take you to the area were you will find the nail polish remover." Last evening the Marianists of the Province of Meribah hosted their Operation Fiat at the Kellenberg Memorial Community. Young men from their Marianist high schools are invited to Evening Prayer, talk and dinner. Over eighty were in attendance at Operation Fiat last evening. It comes from the Latin vocare, to call, and means the work a [person] is called to by God. There are all different kinds of voices calling you to all different kinds of work, and the problem is to find out which is the voice of God rather than of Society, say, or the Superego, or Self-interest. The kind of work God usually calls you to is the kind of work (a) that you need most to do and (b) that the world most needs to have done. If you really get a kick out of your work, you’ve probably met requirement (a), but if your work is writing TV deodorant commercials, the chances are you’ve missed requirement (b). On the other hand, if your work is being a doctor in a leper colony, you have probably met requirement (b), but if most of the time you’re bored and depressed by it, the chances are that you have not only bypassed (a) but probably aren’t helping your patients much either. Buechner then adds this poignant conclusion: "The place God calls you to is the place where your deep gladness and the world’s deep hunger meet." Pray for those discerning a Marianist religious vocation. 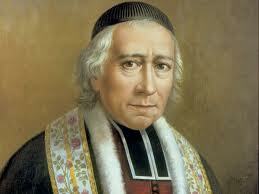 Blessed William Joseph Chaminade (1761-1850), priest of the diocese of Bordeaux, carried out a faithful and often dangerous priestly ministry during the difficult years of the French Revolution. In the aftermath he faced a new apostolic challenge: ignorance of the faith, religious indifference, the abandonment of Christian life, and the structural ruin of the Church. Aiming to dedicate the rest of his life to the renewal of the Church, he sought and obtained the title of Missionary Apostolic. He realized, under the guidance of the Holy Spirit, that new means were required for his times: new institutions, new methods, even a new kind of missionary. Community life in the spirit of the gospel has always been an effective method of implanting personal faith and a growthful environment for fulfilling its demands. Such was the experience of the group of apostles, called together by Jesus as they followed him closely and learned by His example and teaching. Such was the experience of the early Church, united with Mary in prayer and expectation of the Holy Spirit. Such was the experience of the first community of Jerusalem, which shared everything in common, and had but one heart and one soul. Inspired by God's Spirit, Father Chaminade understood the rich creative possibilities of a Christian community for apostolic service. Such a community could bear the the witness of a people of saints, showing that the gospel could still be lived in all the force of its letter and spirit. A Christian community could attract others by its very way of life and raise up new Christians and new missionaries, thus giving life in turn to still other communities. A community could thus become the great means to re-Christianize the world. It was this insight that give rise to the first groups of men and women founded by Father Chaminade as sodalities. In his work, the founder always sought inspiration in Mary, having contemplated at Saragossa the faithful Virgin who received the word of the Lord and pondered it in her heart, the Woman who gave Christ to the world, the Mother who forms all believers. 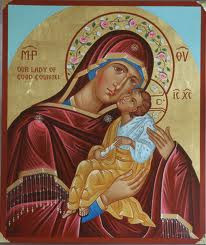 Mary embodies all the attitudes of the gospel, in opposition to the spirit of evil. It is she who gives the watchword to do whatever her Son commands. Commitment as a sodalist was for Father Chaminade equivalent to a consecration to Mary in order to assist her in her mission. Guided by the Holy Spirit, members of the sodality sought increasingly intense forms of dedication. 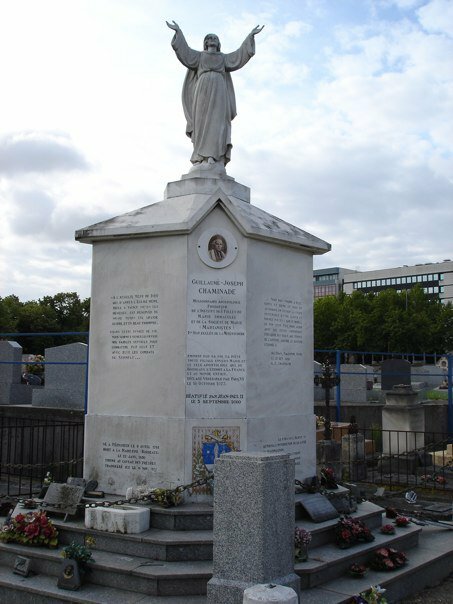 Eventually some formed the nucleus of two religious congregations: the Daughters of Mary Immaculate, founded by Father Chaminade in collaboration with Adele de Batz de Trenquelleion at Agen in 1816; and the Society of Mary (Marianists), founded at Bordeaux in 1817. Father Chaminade saw in these two foundations a “person who would never die” to maintain, inspire, and extend the network of communities and works founded under his inspiration. 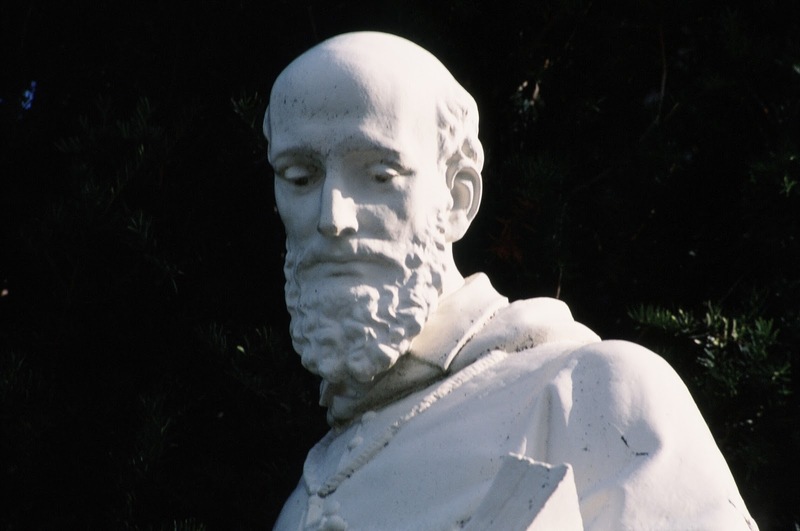 Today the varied groups which recognize their common link in the charism of Father Chaminade are usually designated by the generic name of “Family of Mary.” The life of Father Chaminade reveals a deep sense of Providence. Filled with a compelling awareness of the Church's mission, he was ready to adapt to ever-new situations, eager to respond to the Lord's indications and deeply sensitive to the needs of the times. He was gifted with tenacity of purpose, a profound spirit of prayer, and a keen ability to discern God's will. He wished to impress these traits on Marianists of all times. Pope Benedict spoke this morning about our great feast today in Vatican City. He underscored the role of parents as great witnesses of the faith. I share below excerpts from his homily today. Educating is very demanding, sometimes it is quite hard on our always limited human capacities. But educating becomes a marvelous mission if it is done in collaboration with God, who is the first and true educator of every man. The true educator does not bind people to himself, he is not possessive. He wants the child, or the disciple, to learn to know the truth and establish a personal relationship with it. The educator does his duty to the end, he does not withdraw his attentive and faithful presence; but his objective is that the learner hears the voice of the truth speak to his heart and follows it on a personal journey. Let us return again to the theme of witnessing. This is a great comfort to us in educating others in the faith because we know that we are not alone and that our witness is supported by the Holy Spirit. Dear friends, let us therefore together call upon the Holy Spirit, that he might descend abundantly upon these children, consecrate them in the image of Jesus Christ, and accompany them on the journey of their life. We entrust them to the maternal guidance of Mary Most Holy, that they might grow in age, wisdom and grace and become true Christians, faithful and joyful witnesses of God's love. Amen. 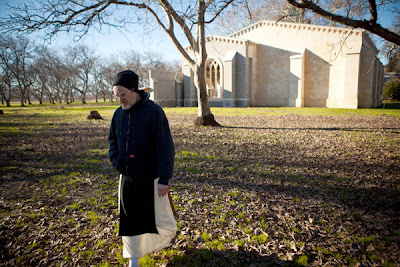 The rebirth of a medieval Cistercian monastery building here on a patch of rural Northern California land was, of course, improbable. William Randolph Hearst, the newspaper tycoon, brought the dismantled Santa Maria de Óvila monastery from Spain but failed to restore it. The City of San Francisco, after some fitful starts at bringing the monastery back to life, left its stones languishing for decades in Golden Gate Park. The Great Depression,World War II and lethargy got in the way. But an aging and shrinking order of Cistercian monks have accomplished what great men and cities could not: the reconstruction of Santa Maria de Óvila’s most architecturally significant building, a 12th-century Gothic chapter house. The monks ascribed the successful restoration to their faith, though years of tenacious fund-raising, as well as a recent alliance with a local beer brewer, also helped. With the major work complete, the chapter house was opened to the public last year. Looking back is a common experience as a new year approaches. Nostalgia warms the heart as it evokes the past, making it come near again in a wistful, shimmering glow. It all once was, and it was good, but had to recede to make way for today, for this year, for the new. And the new is the only gift we really have. It is ours to marvel in, to celebrate — a living mystery for which we can and should give thanks. Years back, I had more than my share of rocking in the new year with all the bells, whistles, revelry and noise. It was great to be in a crowd as the music blared and the floor shook with dancing. But I moved on, and coming here to a monastery, all that stuff, of course, did not move with me. We will have a quiet New Year’s Eve, and I would bet most all the monks will be sound asleep when the big ball drops in Manhattan’s Time Square. In the morning, we will rise, and, this year, celebrate something wondrous and new. Peter Damien, one of our monks, will make his solemn profession of vows to God, the abbot and this community. We will celebrate with Peter and his family. We will rejoice in a real transformation in the heart and life’s direction of one man. 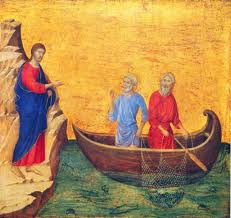 It is something new, something of God, a gift to us through Peter of what God wants and does with us. I do not understand it but I believe it. I have seen it happen to me, and it is good. It puts me in the here and now, grateful for the past, grateful for this community, grateful for men like Peter who passed this way once upon a time and wanted to make it his home. So we won’t be looking back much on new year’s day. We have much to do that day, making something of God’s call very present and very real to us. We listen, and God moves us forward. He is giving us someone new and alive and good. A living promise of life to come, days to unfold, a future in the works. It is what God does with us and with everybody. It makes for a very Happy New Year. Interested in exploring the possibility of a Marianist religious vocation? Kellenberg Memorial Community in Uniondale, New York. Evening Prayer begins at 6 pm for young men interested in exploring a religious vocation. Dinner & discussion follows until 8 p.m.
Those who are chosen by God for the consecrated life make this spiritual longing their own in a definitive way. 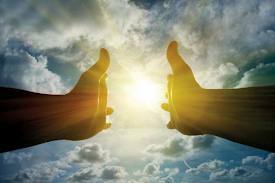 In it, in fact, they have one expectation: the Kingdom of God: that God reign in our will, in our hearts, in the world. In them burns a unique thirst for love which can be quenched by the Eternal One alone. And so, when one renounces everything to follow Christ, when one gives to him all that one holds most dear, braving every sacrifice as did the divine Teacher, the consecrated person who follows in Christ’s footsteps necessarily also becomes “a sign of contradiction,” because his/herway of thinking and living is often in opposition to the logic of the world, as it is almost always presented in the media. f interested contact Brother Michael at bromichael@kellenberg.org "Faith, and especially this faith of the heart, is a great gift of God. It is for this reason that we always need to say, “Lord, increase our faith” [Lk 17:5[. 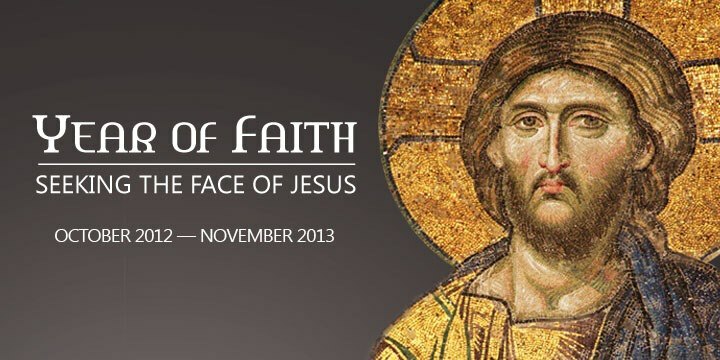 God, so to say, easily grants this grace, when we devote ourselves to works of faith…. Oh, my dear Son, what happiness for us if for the rest of our lives we can walk along the beautiful paths of faith, act only by faith, and live only by faith! The faith which would not enlighten our mind would not give us the life of justice, which is a divine life." the possibility of a Marianist religious vocation? Consider attending our Operation Fiat on Tuesday, January 15, 2013. Matthew sets up a powerful archetypal contrast, blessing and curse, between the reaction of the wise men, who bring their gifts and place them at the feet of the new king, and King Herod, who tries to kill him. We are all familiar with this story since it has been much celebrated in song, icon, and legend. Jesus is born inside of a religious tradition, Judaism, and his birth is announced to that faith-community in a manner that befits religion, namely, by the angels, by supernatural revelation. But those outside of that faith-tradition need another way to get to know of his birth, and so his birth is announced to them through nature, astrology, through the stars. The wise men see a special star appear in the sky and begin to follow it, not knowing exactly to where or to what it will lead. While following the star, they meet King Herod who, upon learning that a new king has supposedly been born, has his own evil interest in matter. 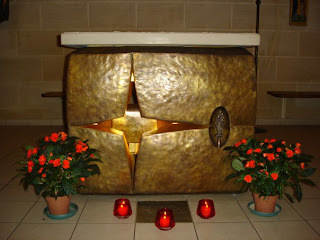 He asks the wise men to find the child and bring him back information so that he, too, can go and worship the newborn. We know the rest of story: The wise men follow the star, find the new king, and, upon seeing him, place their gifts at his feet. What happens to them afterwards? We have all kinds of apocryphal stories about their journey back home, but these, while interesting, are not helpful. We do not know what happened to them afterwards and that is exactly the point. Their slipping away into anonymity is a crucial part of their gift. The idea is that they now disappear because they can now disappear. They have placed their gifts at the feet of the young king and can now leave everything safely in his hands. His star has eclipsed theirs. Far from fighting for their former place, they now happily cede it to him. Like old Simeon, they can happily exit the stage singing: Now, Lord, you can dismiss your servants! We can die! We're in safe hands! The unforgettable story of the journey of the Magi, as recounted in the Gospel of Matthew, is an artful summary of the principal dynamics of the spiritual life. Watching the night sky with scrupulous attention for signs of God's purpose, the Magi evoke the importance of alertness in the spiritual order. We must keep our eyes open to see what God is up to. For far too many people, the spiritual life never gets underway, precisely because they don't pay attention. Once they saw the star, they moved, despite the length of the journey and the dangers of the road. Sometimes people know what God wants them to do, but they don't act, either out of fear or laziness or the influence of bad habits. In their confident journeying forth, the Magi teach us not to miss the propitious moment. They teach us to move. 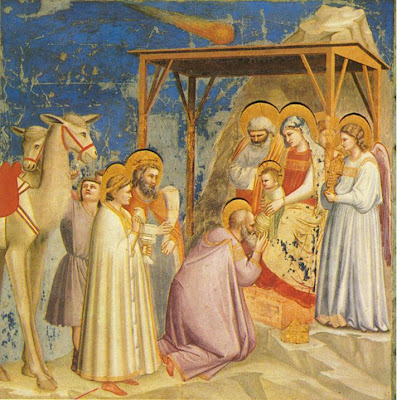 The solemnity of the Epiphany typically gets short shrift in Latin-rite Catholicism, for while Eastern Christianity lifts up the Epiphany as the apex of the Christmas season, Epiphany in the Western Church tends to get overwhelmed by the tsunami of Christmas, both liturgically and (especially) culturally. When the Epiphany fell in the middle of the week and was a holy day of obligation, its importance as the commemoration of the “manifestation” of the Messiah was underscored; transferred to a Sunday, it tends to become one Sunday among others. The pre-1970 liturgical calendar recognized the significance of the Epiphany by designating “Sundays after Epiphany” between the conclusion of the Christmas season and the beginning of pre-Lent, thus stretching out the Church’s meditation on the Epiphany over several weeks. Now, Epiphany is quickly succeeded by the feast of the Lord’s Baptism, after which the liturgical period known by that dreadful neologism “Ordinary Time” begins. While we wait in joyful hope (as we no longer say) for the restoration of some sanity to the liturgical calendar, we can be grateful for the insights into the Epiphany—and especially into those emblematic characters in the story, the Magi and the star—offered by Pope Benedict XVI in his new book, Jesus of Nazareth: The Infancy Narratives (Image). As always with this scholar-pope, it’s the theology that counts, and Benedict’s theological reading of the Epiphany and the Magi story makes several important points. 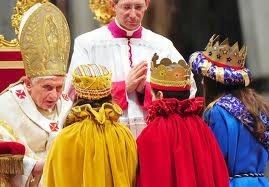 Thus these Three Kings “initiate a procession that continues throughout history.” Moreover, they represent more than those who have actually found the Lord: “they represent the inner aspiration of the human spirit, the dynamism of religions and human reason” toward Christ. The Magi embody the truth of which Paul wrote in one of his great Christological hymns: “all things were created through him and for him” (Colossians 1:16). Then there is the star. After noting that this extraordinary phenomenon might have been the conjunction of Jupiter and Saturn in the constellation of Pisces in 7-6 B.C. (that is, just about the time of the birth of Christ), the pope gets down to the real point, which is not astronomy but theology. The stars, Benedict recalls, were once thought to be divine powers that controlled the fates of men and women: thus the phrase, “it’s in the stars,” and thus the pseudo-science of astrology. The Epiphany and the Magi story reverse all of this. The star, perceived with the eyes of faith and understood by the tools of theology, tells a brilliant, if not fully comprehended, story. If the Wise Men were led by a star to find the newborn king of the Jews who is in truth the universal savior, Benedict tells us, “this implies that the entire cosmos speaks of Christ, even though its language is not yet fully intelligible to man in his present state.” The “language of creation” points us toward the truth about the Creator, which is that God who creates is also God who redeems. Thus the Epiphany points us toward the Cross (anticipated in the Magi’s gift of myrrh, which is also used at Jesus’ burial) and, ultimately, to the Resurrection. Years ago, I remember my father faithfully attending the Holy Name Society Communion Breakfast. Hundreds of men with their sons attended the yearly Communion Breakfast. Today we celebrate the Feast of the Holy Name of Jesus. Today's feast is meant to impress upon us the dignity and the honor of the sacred name of Jesus. Devotion to the Holy Name is deeply rooted in the Sacred Scriptures, especially in the Acts of the Apostles. It was promoted in a special way by St. Bernard, St. Bernardine of Siena, St. John Capistrano and by the Franciscan Order. It was extended to the whole Church in 1727 during the pontificate of Innocent XIII. Blessed John Paul II restored the feast to January 3 in the Universal Church. St. 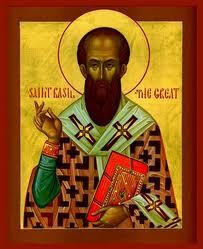 Basil was educated in Caesarea, Constantinople, and Athens in the 4th century. He enjoyed stimulating university life. 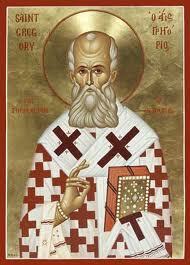 There he met St. Gregory Nazianzen, a quiet, scholarly man. The two became close friends. Marianist spirituality celebrates the relationship between Jesus and his mother, Mary. Mary’s acceptance of God’s call to become the Mother of God is the foundational moment of Christianity. Through Mary’s “yes,” the Word became human and dwells among us. Mary’s “yes” made this possible! Mary stands with Jesus through his life and ministry. She is mother (Luke 2:17); woman of courageous faith (John 2:1-11; 19:25-28); disciple of the Lord (Luke 11:27-28); prophetess of radical freedom (Luke 1:46-56). This woman of radical obedience and freedom calls Marianists to be a people of hospitality who gratefully share their faith and their community. It is through our participation in her mission that we educate youth, serve the poor, and promote peace, social justice, and the integrity of creation in our communities and institutions. 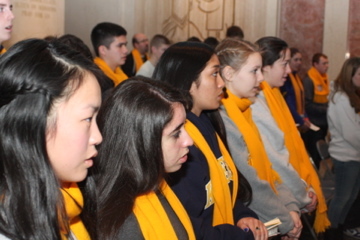 All members of the Marianist Family listen with their hearts to Mary’s words at Cana: "Do whatever He tells you." Blessed Chaminade believed Christian communities needed to bring the story of Jesus and the Good News to life through their daily activities and ministries. Mary, the Mother of God, was the model for his renewed faith formation. In Mary, he saw Christian discipleship, simplicity and hospitality. Father Chaminade thought an “alliance with Mary” would transform the Church. Marianists strive to be like Mary—and those Marianists who are professed religious take the vow of stability, which grounds their special devotion to Mary and their desire to make her mission, to bring Christ to the world, ever more known.